This copyright removal is for my free plugins and applications only! If you have a paid application that you would like to purchase copyright removal for, please click here. 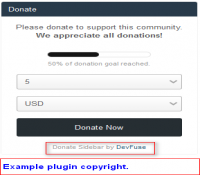 This plugin allows for copyright removal from our free IP.Board plugins and applications. Simply follow the included instructions to remove the copyright.